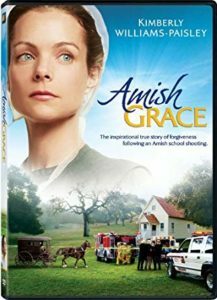 When a gunman killed five Amish schoolgirls in a schoolhouse in Nickel Mines, Pennsylvania, in October 2006, the world media quickly turned from the tragic events to the extraordinary forgiveness demonstrated by the Amish community. Through the eyes of Ida, the mother of one of the girls, the movie explores the Amish‘s astonishing reaction to the horrific shootings. Ida, one of the grieving mothers, also faces a profound test of faith. As she begins to feel like an outsider with her own community, Ida must decide whether or not to stay with the Amish – and her beloved husband. Delicately crafted, this film is a moving testament to the power of forgiveness. Theology Uncorked is a free program for theological reflection, good conversation, delicious wines and fresh popcorn! This program is offered usually on the first Monday of each month with presentations, movies, etc., which allow us to further examine our lives as it relates to Christ’s teachings. You are welcome to bring snacks or a bottle of wine to share as we delve into our theology! All are welcome to join us!